Lansoprazole comes in capsule form. 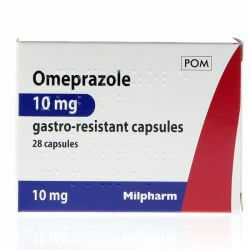 Lansoprazole is a yellow capsule which is used to treat Gastro-Oesophageal reflux disease or GORD. 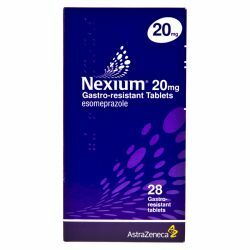 It belongs to a group of medicines called Proton Pump Inhibitors, or PPIs. Lansoprazole works by reducing the amount of acid that your stomach makes. 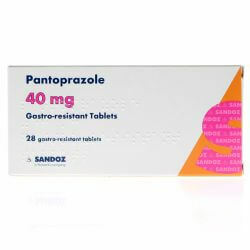 Lansoprazole is also available in the branded form, known as Zoton, as well as its generic form. Both the generic and the brand form are prescription only items. Lansoprazole 15mg Gastro-Resistant Capsules should be kept out of sight and reach of children and should not be stored over 25 degrees Celsius. When using Lansoprazole 15mg Capsules, you should follow the instructions given to you by the doctor. The usual dose given for Acid Reflux treatment is to take one capsule daily. The capsule should be swallowed whole with a glass of water. It should not be chewed or crushed. It is best to take the capsules at the same time every day, preferably in the morning. If you take more capsules than required you should contact your doctor immediately. If you forget to take a dose, do not double up doses. Take the dose as soon as you remember and then take the next dose at the correct time. If it is almost time for your next dose, skip the missed dose completely. Do not stop taking Lansoprazole unless instructed to by your doctor. The active ingredient in these capsules is Lansoprazole. The other ingredients are Sucrose, Maize Starch, Sodium Laurilsulphate, Meglumine, Mannitol (E421), Hypromellose, Macrogol, Talc, Polysorbate 80, Titanium Dioxide (E171) and Methacrylic Acid-Ethyl Acrylate Copolymer (1:1). The capsule shell contains Gelatin, Titanium Dioxide (E171) and Quinoline Yellow (E104). 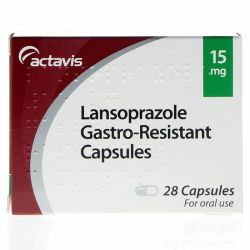 Lansoprazole 15mg GR Capsules should not be taken if you are allergic to any of the ingredients in the medicine, if you are allergic to any other PPI's or if you are taking any medicines containing Atazanavir. You should speak to your doctor before taking Lansoprazole if you have severe liver problems. Taking PPIs, like Lansoprazole, for long periods of time, especially for a year or more, can increase your risk of fracture in the hip, wrist and spine. Because of this, you must especially speak to your doctor if you have osteoporosis or if you are taking corticosteroids. You should make sure to mention to your doctor if you are taking other medicines, including ones purchased over the counter. This is because Lansoprazole can affect how these medicines work, or vise versa. You should tell your doctor in particular if you take Ketoconazole, Itraconazole, Rifampicin, Digoxin, Theophylline, Tacrolimus, Fluvoxamine, Sucralfate, St. John's Wort or any antacids. If you are pregnant, think you may be pregnant or are trying to get pregnant, you should speak to your doctor before taking Lansoprazole. This is because it isn't recommended to take Lansoprazole during pregnancy as there isn't enough experience on use of Lanzoprazole during pregnancy. This is the same with breat-feeding. There isn't enough information regarding this in research done, so it is not recommended to take Lansoprazole if you are breast-feeding. As with all medicines, Lansoprazole can cause side effects, although not everyone gets them. If you experience any allergic reactions to the medicine, stop taking them immediately and contact your doctor. Side effects caused from taking Lansoprazole include headache, dizziness, diarrhoea, constipation, stomach pains, nausea, vomiting, wind, dry or sore mouth or throat, skin rash, itching, changes in liver function tests, tiredness, depression, joint or muscle pain, fluid retention or swelling, changes in blood cell counts, fever, restlessness, drowsiness, confusion, hallucinations, insomnia, visual disturbances, vertigo, changes in taste, loss of appetite, inflammation of the tongue, burning or prickling feeling under the skin, brusiing, reddening, excessive sweating, sensitivity to light, hair loss, paresthesiae, trembling, anaemia, kidney problems, pancreatitis, inflammation of the liver, breast swelling in men, impotence, candidiasis, angioedema - you should contact your doctor immediately if you experience angioedema symtpoms, such as swollen face, tongue or pharynx, difficulty to swallow, hives and difficulties to breath - stomatitis, colitis, changes in sodium, cholesterol and triglyceride levels, severe skin reactions - reddening, blistering, skin loss or severe inflammation - and reduction in the white blood cell count. If you are on Lansoprazole for more than three months, it is possible that the levels of magnesium in our blood may fall. If this happens, you should speak to your doctor straight away. If you experience any side effects not listed here, or you get symptoms not listed, please contact your doctor immediately.